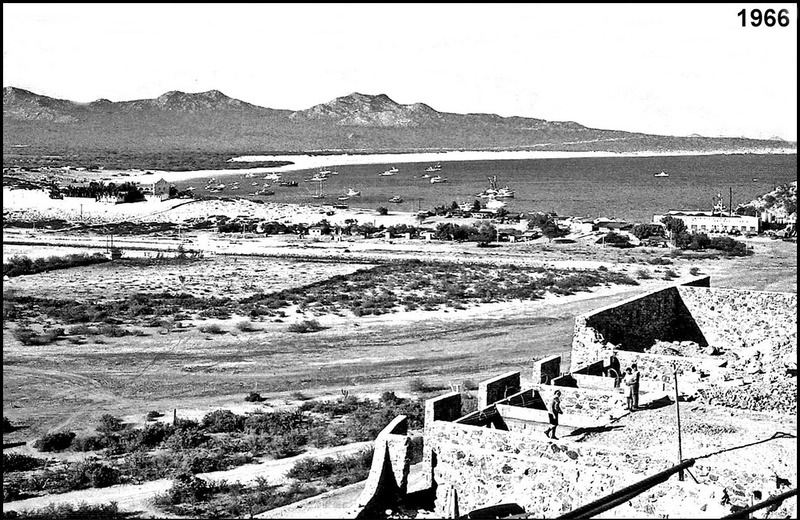 View of Cabo San Lucas, bay and beach from above Hotel Finisterra in 1966. 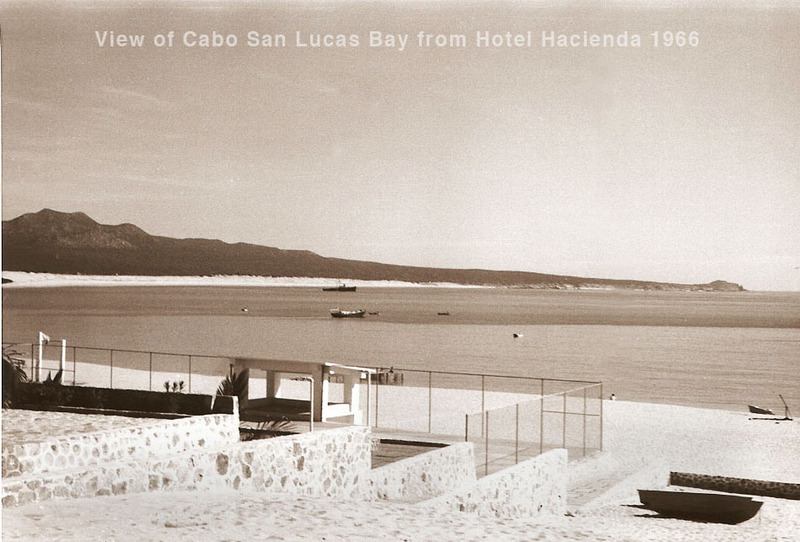 This group of photos show Cabo San Lucas Bay from Hotel Hacienda. Others photos of the town, fishing and the bay. provided by the friends of Bette Sutherlin via email. 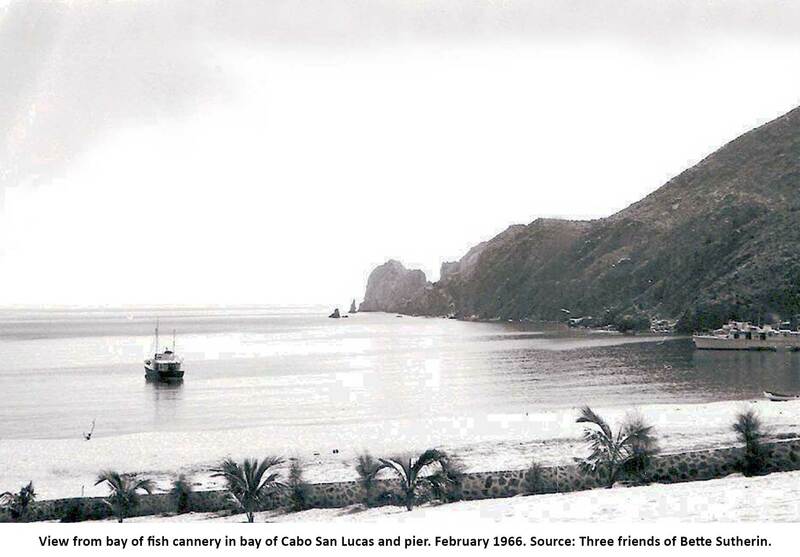 View of Cabo San Lucas bay, fishing boats, old tuna cannery, beach, town and mountains in the background. 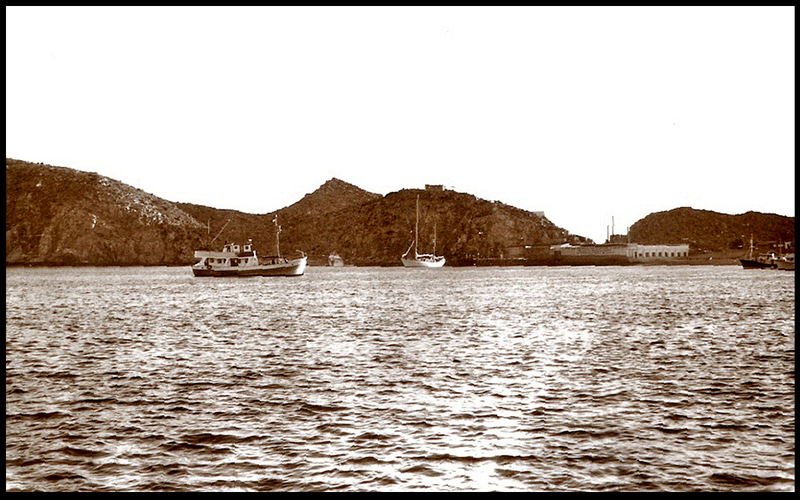 Photo taken in February 1966. Source: Three friends of Bette Sutherin. 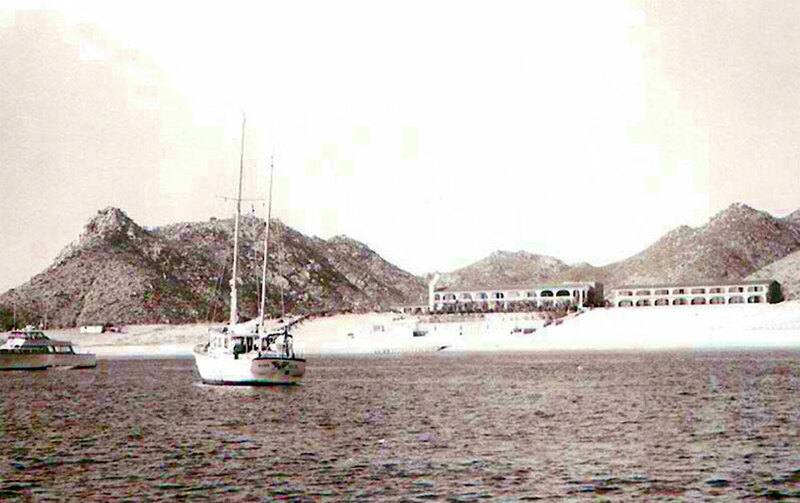 View of Cabo San Lucas Bay from Hotel Hacienda in 1966. Source: Three friends of Bette Sutherin. 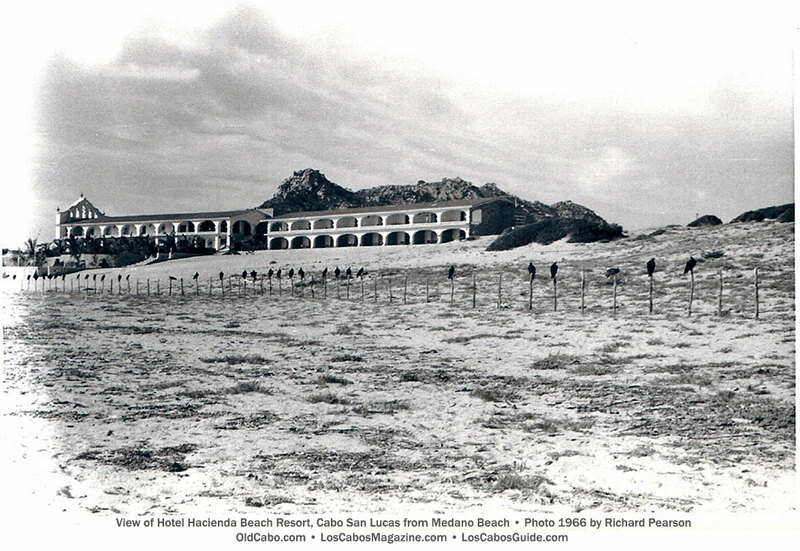 View of Hotel Hacienda from Cabo San Lucas Bay in February1966. 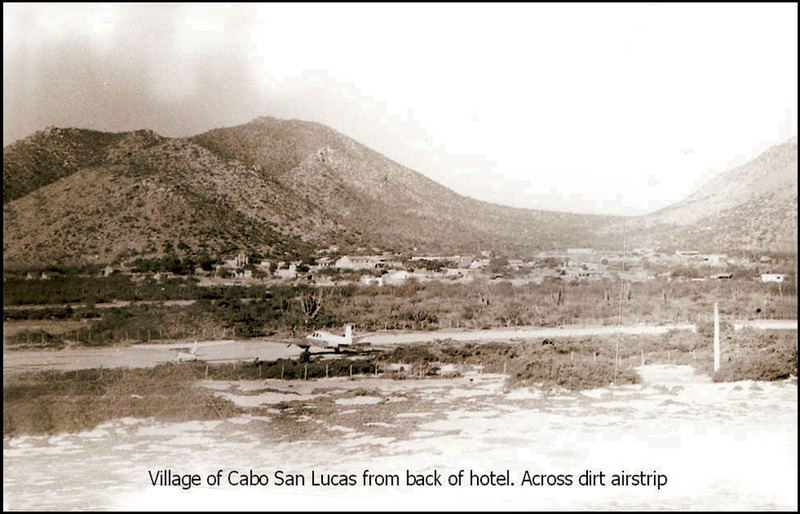 View of the town of Cabo San Lucas and mountains in the background. 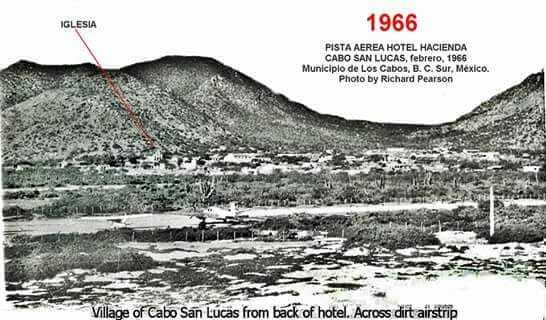 Photo taken from the back of Hotel Hacienda in February 1966. 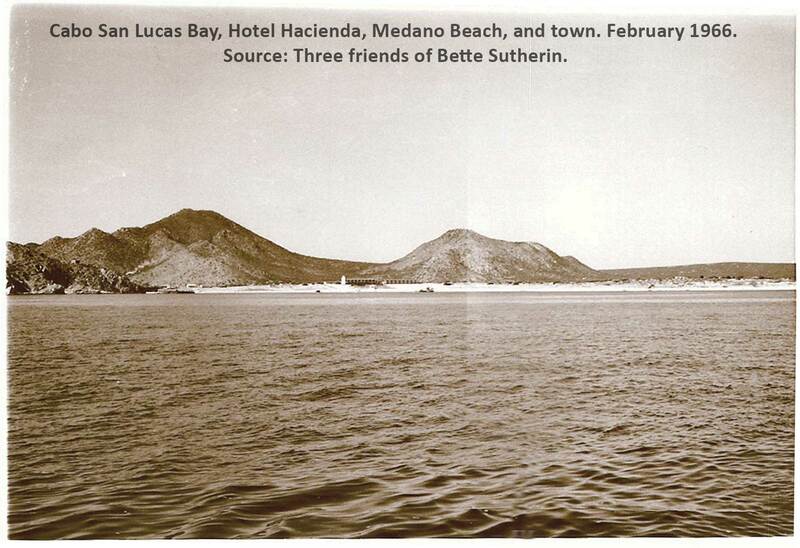 Source: Three friends of Bette Sutherin. 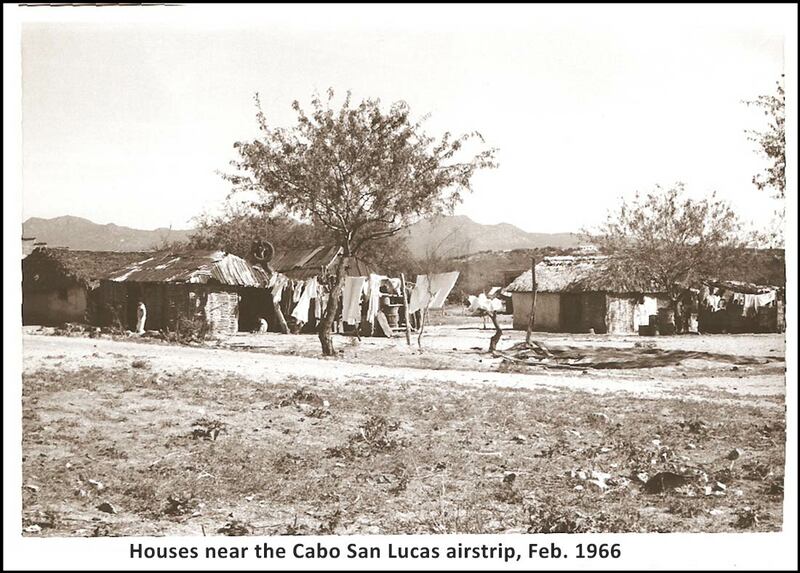 Houses near the Cabo San Lucas airstrip in February 1966. View of the bay, fishing boats, old tuna cannery and mountains in the background. 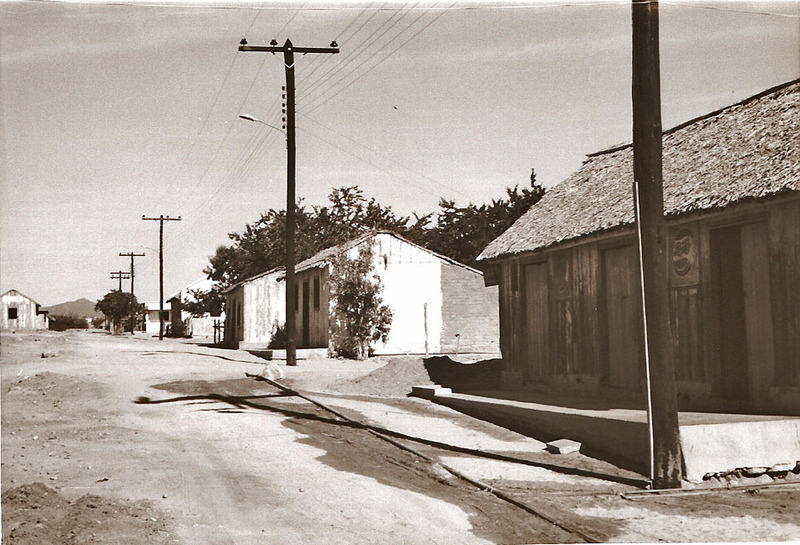 Photo taken in 1966. Source: Three friends of Bette Sutherin. 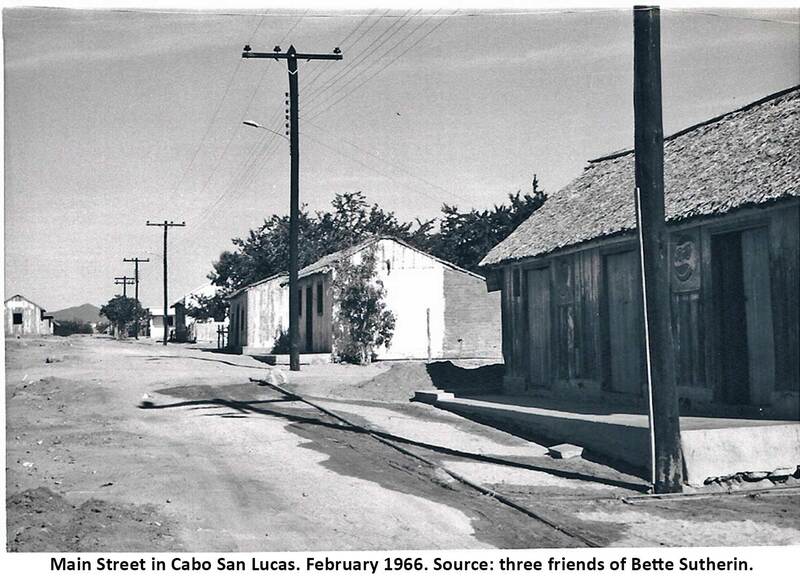 Main Street in Cabo San Lucas. February 1966. Source: Three friends of Bette Sutherin. 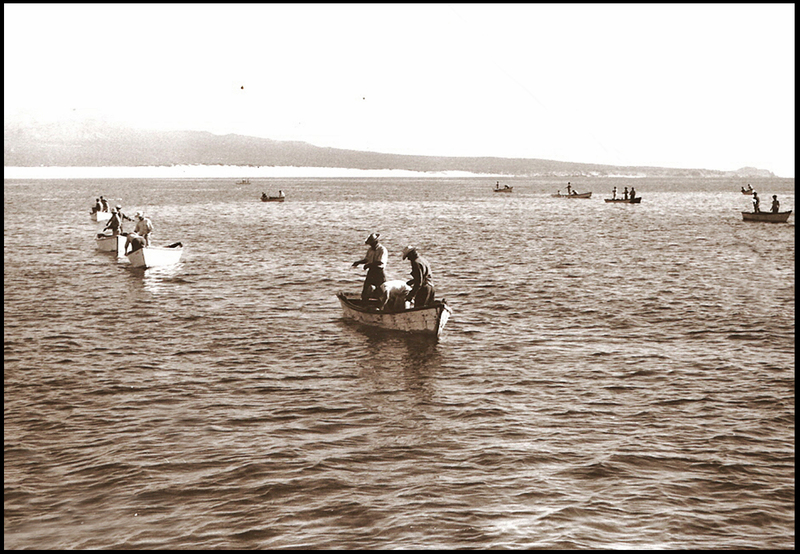 Panga Fishermen on Cabo San Lucas Baya February 1966. Source: Three friends of Bette Sutherin. 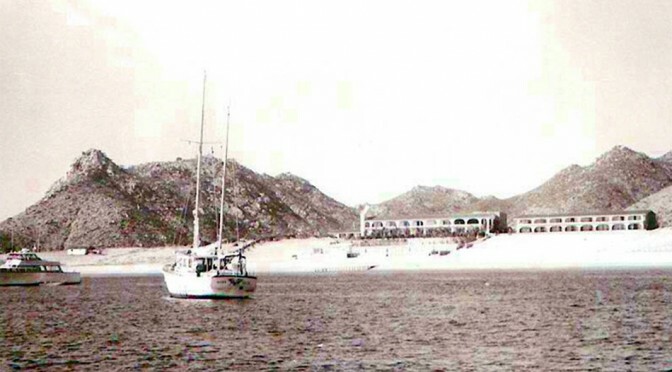 View from bay of fish cannery in bay of Cabo San Lucas and pier, February 1966.. Source: friends of Bette Sutherlin.